Ofqual has accredited this redeveloped A-level Philosophy specification. 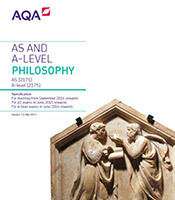 A-level Philosophy provides students with a broad introduction to the study of Philosophy. Read more on the Why choose this specification? page.